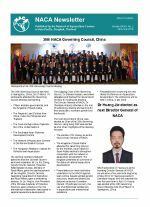 NACA welcomes Dr Huang Jie as the incoming Director General of NACA. He will serve a five year term beginning in May 2019. Dr Huang succeeds Dr Cherdsak Virapat, who will complete his own five-year term in April. Dr Huang was elected at the 30th Governing Council Meeting held 26-27 March in Guangzhou, China. Dr Huang, a Chinese national, obtained his BSc on virology in Wuhan University in 1987, an MSc in the Wuhan Virology Institute, Chinese Academy of Science in 1990, and his PhD on marine biology in the Ocean Institute in 2010. The 30th Governing Council was held in Guangzhou, China, 26-27 March. 74 participants attended the Governing Council Meeting representing fifteen member governments, with the Kingdom of Saudi Arabia attending as an observer. The host Government, China, was elected as Chair of the 30th Governing Council. Hong Kong SAR was elected as Vice Chair. 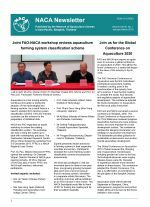 Key outcomes included the election of Dr Huang Jie as the next Director General of NACA, and preparations for the Global Conference on Aquaculture 2020. 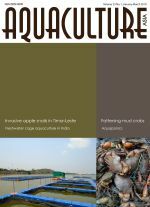 Asia has experienced rapid development of aquaculture in the past four decades. This has improved food security, livelihoods and economic development in many Asian countries. It has also become the main source of fish products in the region. Yet aquaculture as a new industry is poorly regulated in many countries. Its development has come with environmental problems, animal disease and food safety issues. These have resulted from both inadequate laws and poor enforcement. The Indian Council of Agricultural Research (ICAR) and NACA will convene the consultation from 26-27 February 2019. 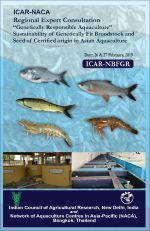 The consultation will be hosted by the ICAR National Bureau of Fish Genetic Resources (NBFGR) in Lucknow, India. The aim of the consultation is to find ways to assure genetic quality in seed production systems. Experts will discuss broodstock management and mechanisms to verify seed origin and quality. The goal is to empower farmers and monitoring agencies with provision of quantifiable standards. Aquaculture is a fast moving industry. Continous innovation is driving the adoption of new technologies and farming systems. As a result there is a need to update FAO's farming system classification scheme. FAO and member countries use this scheme for the preparation of statistical data. NACA and FAO organised an expert workshop to review the existing classification system. The workshop aim was to bring the system up to date with contemporary practices. An Expert Consultation on Invasive Alien Fish Species: Need for a Risk Benefit Assessment and Management Framework for Healthy Freshwater Systems will be organised on 19 December 2018 in New Delhi, India. The consultation will flag the need for an equilibrium between access to non-native germplasm and the minimisation of risk to ecosystems and native fish diversity from such introductions. As a major outcome, an objective tool is expected to be developed, which can be used to evaluate prospective introductions and support decision making.